A wolf has come to live with us. A fairy-tale, white toothed sable-black wolf on whom Prokofiev’s Peter would have set his blunderbuss-weilding grandfather. 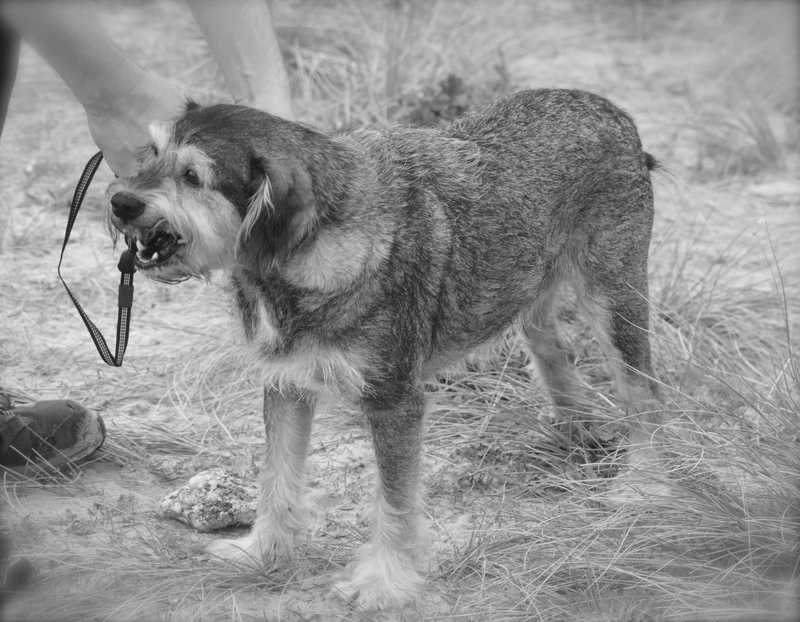 A great shaggy chihuahua intimidator, a spaniel-towerer, a wild saxon shuck. Thing is, he thinks he is a toy bichon. Macaulay is fairly sure he is a hellhound, since our small terrier has had his cosy existence rocked by the arrival of a great rampaging young pretender. All the doggie psychology books say we should ensure the new arrival is in no doubt that Mac is top dog. But Mac is a small dog. Though his character is large and expansive, his stature is diminutive. Thus, we have a thousand small ways to elevate his status, none of which would thrill a dog trainer. They include letting him sit up on armchairs, sleep noisily in our bedroom and get through every door and gate first. He accepts all as his due, for he is in his head, as in ours, very large and important indeed. Meanwhile, the Saxon hellhound has necessitated a firm alliance between Montgomery the ginger tom and the youngest human member of the Shrewsday Clan. Freddie is not a relentless pursuer of cats; the two can be in the same room and each retain their dignity. But Monty will insist on staring at Freddie, and Freddie at Monty, and this has resulted on Freddie becoming rather a hanger-on where Monty is concerned. And our ginger prince does not require any further adoration. So Felix has become Monty’s Bouncer. 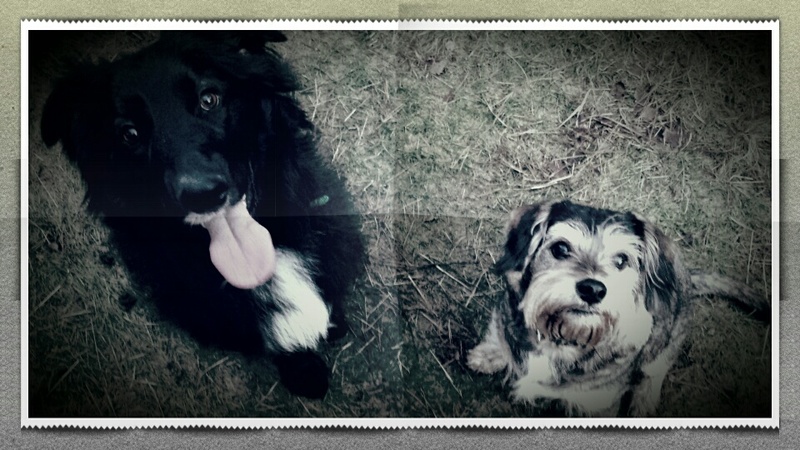 He ejects an adoring Freddie whenever Monty deems it necessary, and does it with such charm that the great soft-hearted bard of a dog does not become offended. It’s a win-win situation, with Felix at its heart. He and Maddie face a return to school with trepidation. It is traditional, I suppose. Indeed, many of us adults look at the new year with a measure of caution. Here we sit, all of us, in the heat of a log fire fuelled entirely by the fallen trees of the forest, with our feet tentatively in a new year. We’re at that stage where we have not yet jumped in with both – or all four – feet. The past is seductive, known territory that it is. The future is untested. And, in Freddie’s case, unchewed. But we’re walking steadily towards it. We’ll brace ourselves, on Monday morning. Those of us with two legs, and those of us with four. Posted in Shrewsday Mansions, UncategorizedTagged dogs, lifestyle, New Year, petsBookmark the permalink. I hope you are all warm and comfortable in front of that fire ~ a good way to recharge before the return to work and school. Happy new year to your new alliance, your elder statesman, and all the humans in between! 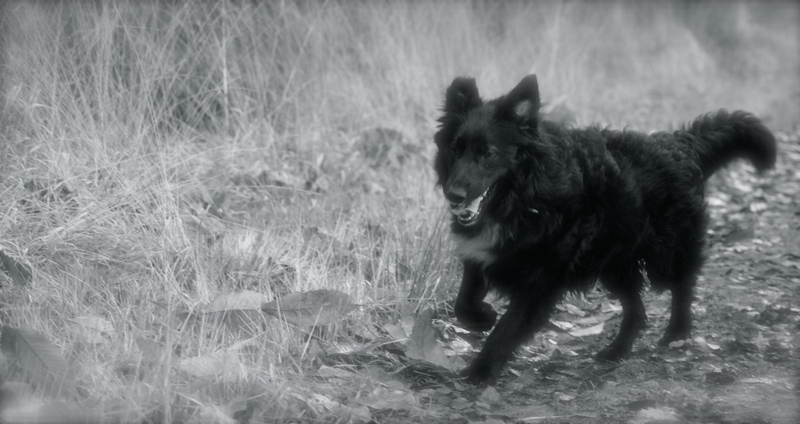 I’d just been posting about the Norfolk Broads…and there you are posting about Black Shuck! As long as Master Mac is given his majestic due, all is right in the world. I’ve always wondered what a hellhound was. Glad to know Freddie is an example. Ha. Freddie just looks like a big, loopy, goof-hound to me, Kate, and possibly Mac shares a similar opinion. Glad to hear that Felix has mastered diplomacy between Monty and Freddie. Maybe one day your son will have a career in Parliament. I like the happy-go-lucky look and Freddie’s face and the dejected look on Mac’s not so happy face. Made me chuckle (Maggie has made a “bed” next to me from my blanket and bedspread and is sacked out). 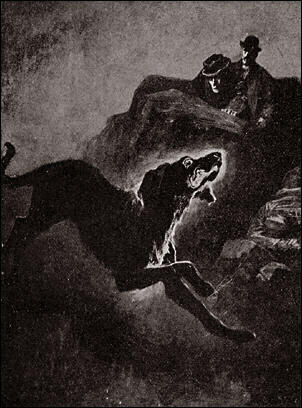 The contemporary Sherlock Holmes on PBS was a really good take on the story of the Hound of Baskerville. Enjoy your warm fire with your family and many four legged friends. Happy New Year to you and your clan Kate – it is always a bit daunting – my dogs willl not like it when the house is nearly empty of a day. Love the photos, Kate. Macaulay looks positively tiny in the first.